The School of Economics and Management at Tongji University (Tongji SEM), Shanghai (http://sem.tongji.edu.cn/) invites promising applicants for a tenure-track position in the Advanced Institute of Business Research (AIBR), a newly founded institute focusing on high-quality management research. All academic ranks are open, including assistant, associate, and full professor. Candidates with excellent research capabilities and quality publications are especially welcome. 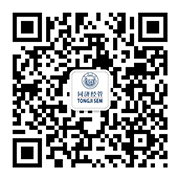 Tongji SEM is one of the premier management schools in China with the prestigious accreditations by the AACSB, EQUIS, and AMBA. Located in Shanghai, the school attracts students from around the world to pursue Bachelor’s, Master’s, and Doctoral courses. The school also mentors top-level corporate executives and managers through its Executive MBA and MDP programs. Established in 1907, Tongji University is one of the leading public universities in the country with approximately 35,000 students. The university offers bachelor, master and doctoral degrees in technology, business, architecture, science, medicine, law, social sciences, and foreign languages. AIBR aims to provide a supportive academic environment for its faculty members to publish research papers in top-tier management journals. Applicants should have research interests and training in areas such as organizational behavior, human resource management, organizational strategy and theory, consumer behavior, marketing strategy and quantitative marketing, e-commerce, operation management, and other related disciplines. Demonstrated ability or potential for high quality research are essential. A competitive salary package will be provided, including tenure-track salary, research funds, relocation and housing allowances. In addition, the school supports faculty with abundant research grants and also encourages faculty to take part in executive master programs, management development programs, workshops, and conferences. Please email your application kit, including curriculum vita, three recommendation letters, Job Market Paper and other relevant working papers or journal articles—electronically as PDF documents to Ms. Dora Zheng (dora.zheng@tongji.edu.cn). The application screening process will start as soon as the application is received. The position will remain open until filled.